A class without at least a stubborn student is no class at all. There will always be at least a joker as well, a silent type, the talkative one, the one who likes to steal your lunch because he/she loves your mother's cooking, the one who always look at the window, and the sleepy one. As a teacher, I always find myself not just a mother to them but as a sister as well. Even though they don't ask me to tend for their needs, my inner self always does it for them. My job is like the job of Nanba prison building 13 supervisor Hajime Sugoroku, he takes his job so seriously that he would dedicate his whole life to it. 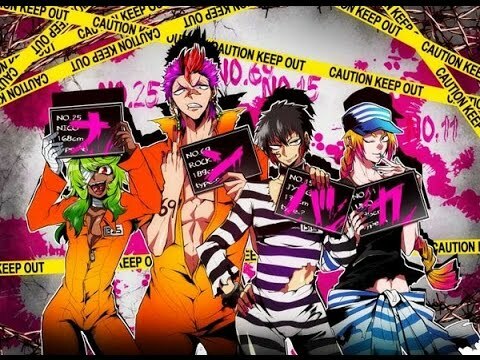 I still remember the first volume of Nanbaka and how it debut on online manga sites. It had a lot positive feedback not just from the manga community but to manga critics as well. Often, a new manga don't get that much of a chance to be animated. It takes time and also recommendations about it but the content is never hard to crack though. I mean, comedy genre manga is super easy to be adapted into anime.